One game which I got a chance to play at Prime was called Skyshine’s Bedlam. Going into the demo, all I knew was that I liked the art style. 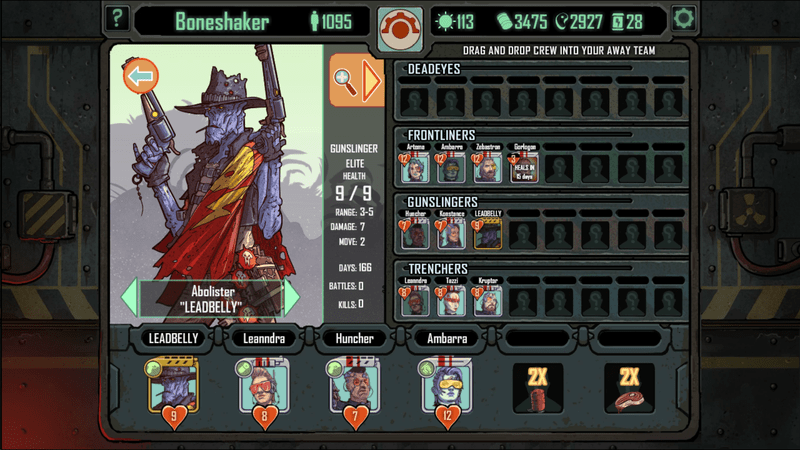 I quickly learned that Skyshine’s Bedlam is a rogue-like (seems to be a theme with me lately) turn-based apocalyptic strategy game. 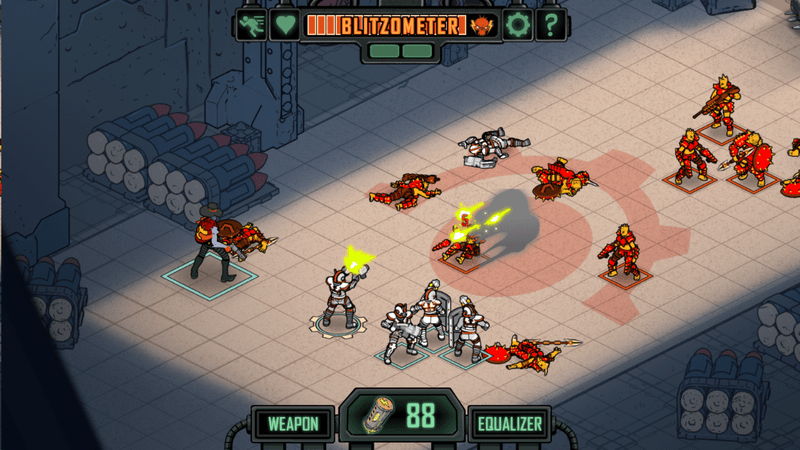 Think of it like Oregon Trail, but with cyborgs, mutants and lots of tactical planning and luck. It was also built on the Banner Saga engine, which is cool. But let’s go into a bit more detail. As I said earlier, the art is really what drew me to the game, but I quickly fell in love with the gameplay as well. For the demo, after picking which faction you represent, you’re thrust into the world map. I chose Mutants, and was awarded with a hideous bio-organic tank as my primary vehicle. By clicking an adjacent node on the world map, I could go anywhere I wanted, with one proviso – gas and resources aren’t unlimited, and each area you travel to costs you. Run out of gas, and you’re SOL (literally, there is a mechanic called that which appears), unless you get lucky and roll a good outcome via a slot machine. And by good I mean morally questionable. I kept rolling an option where I could turn spare civilians on my rig into gasoline through dark chemistry. That may make me a monster, but the point of the game is getting as far as you can before you are inevitably destroyed by the roving gangs, monsters or just the sheer cruelty of the environment. It’s not all travel and dark science, though. There’s also a lot of combat which happens. As you travel, you are given options, and depending on your choices, you may attract the wrong attention. Which brings us to the combat section of the game. You can select up to 6 of your crew to battle, picking from a variety of job classes. If you pick less, you’ll earn bonuses after the battle. Since I picked Mutant at the start, all my crew were very unique. They ranged from purple skinned snipers to acid hurling monstrosities (which I absolutely loved). Each unit has their own stats, and many of them have very low health. Besides fighting, it’s also a good idea to pick up boxes of resources on the field of battle. Oh, and did I mention permadeath? Yea, if a crewmate gets killed, they stay that way. As a result, your tactical decisions really matter. Another important feature is upgrading your primary vehicle. You can increase the rate you produce food, decrease how quickly you run through gas and more. You’ll never be bored as you’re progressing through this apocalyptic wasteland. Oh, and before I forget, there is one more unique feature. The farther you progress, and the more battles you win, the more your threat level goes up. Get it high enough, and some very bad men will come to make you suffer. I didn’t manage to get quite that far, but I’m sure I would have gotten farther had I kept at it longer. 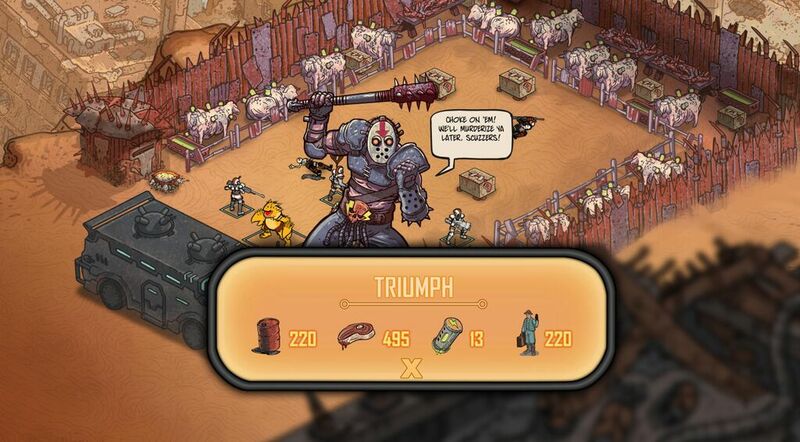 Overall, I was quite pleasantly surprised by Skyshine’s Bedlam. If it looks appealing to you, you can check it out on Steam as of September 17th, or if you’re really impatient, preorder it now. A great choice for fans of tactical goodness.